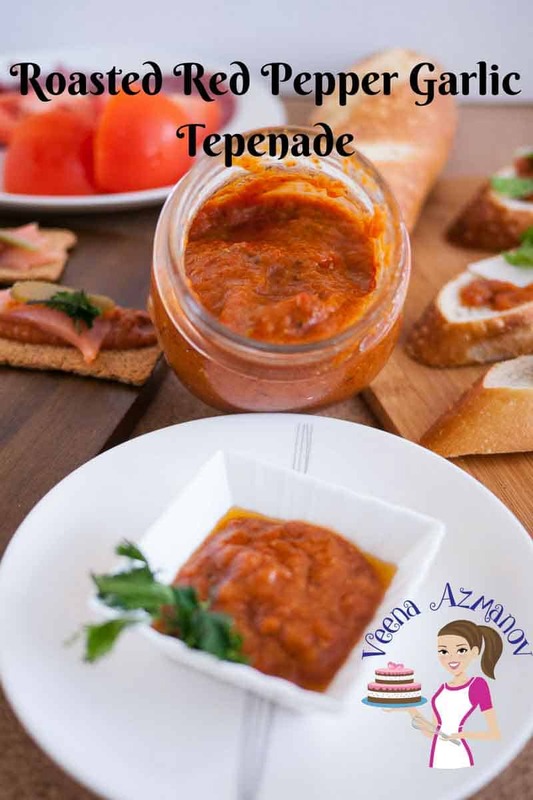 A tapenade is a must have on hand for easy sandwich spreads, tortilla wraps, and appetizers. This roasted red pepper garlic tapenade is our family favorite, super easy, quick and simple to make. You will be totally addicted to it. Don’t you just love that color? Rich red from the red peppers and roasted garlic. If you have tasted roasted garlic before you know exactly what I mean when I say this tapenade is sweet and flavorful. You will be eating it on almost anything you can. Try adding it to your favorite tomato pasta. Spread it on your pizza. Add a dash of cream and cheese and tossed in some pasta. Sprinkle some on your favorite salad as a dressing. Here are some Appetizers I made for dinner. 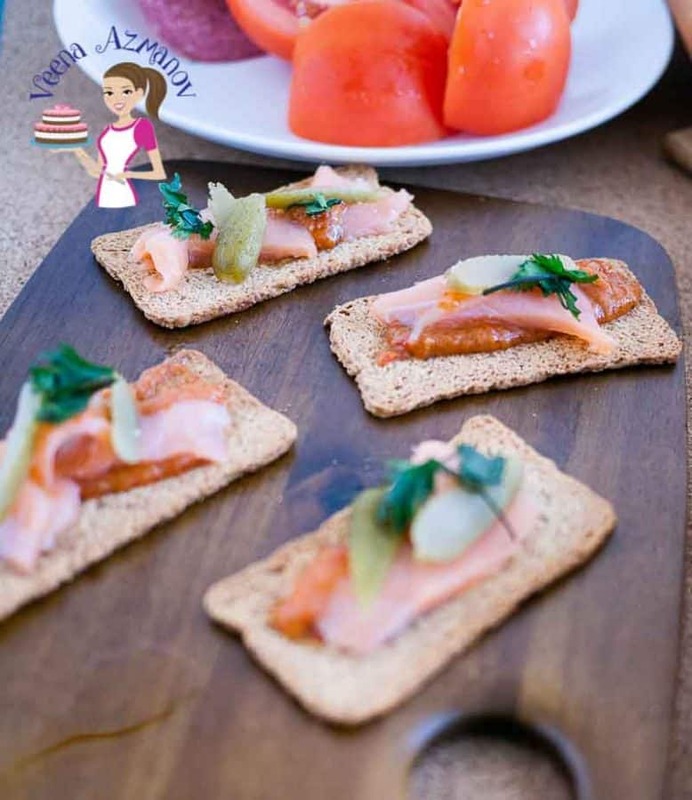 This is just wheat toast with roasted red pepper garlic tapenade, topped with smoked salmon and garnished with pickles and herbs. 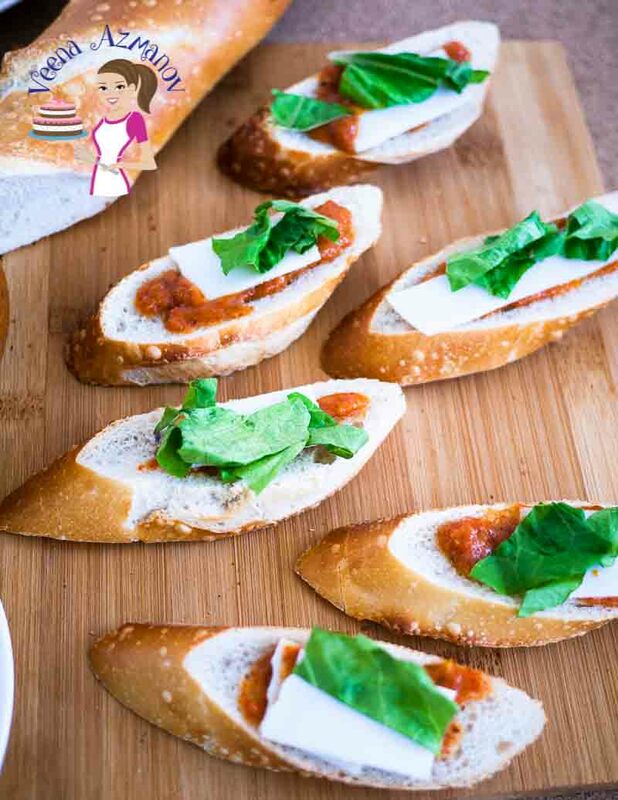 Here’s the kids favorite – crusty baguette with roasted red pepper garlic tapenade topped with goats cheese slices and some basil. Red Peppers – Well, people say all peppers are the same but I think red pepper better and it’s taste really delicious when roasted. I have not tried it with yellow or Orange as yet. Garlic – Garlic when roasted goes thru a complete makeover. It changes from this pungent and strong smelling spice to a sweet flavorful spread you can eat just on it’s own. So don’t hesitate to use as much as you fancy. Olive oil – Use a good quality olive oil. This is so delicious you will be spreading it on almost anything and everything so make sure you use an olive oil you absolutely love. Tell me wouldn’t that make a beautiful Appetizer for Valentine’s Day? Or this as well? any date night appetizer – right? NOTE: The ratio of red peppers to garlic is totally based on your own personal preference. You can adjust quantity to your taste. When roasted the skin will be black. Let cool wrapped for about 10 minutes – this will help the skin just peel off the peppers. After 10 minutes skin the red peppers – cooling them wrapped helps separate the skin from the flesh. Leave the garlic bulbs skin on. Place in the oven with the red peppers at 200 C / 400 F for about 30 mins. Once cooled it’s easy to just pick the garlic off the bull into a small bowl. Then pour in the olive oil slowly while still processing. This will stay fresh in the fridge for up to two weeks. Let cool wrapped for about 10 minutes - this will help the skin just peel off the peppers. After 10 minutes skin the red peppers - cooling them wrapped helps separate the skin from the flesh. Once cooled it's easy to just pick the garlic off the bull into a small bowl. Tried this recipe last week and everybody loved it. Thank you so much. Thank you, Victoria. So happy to hear you had success with this recipe and enjoyed it. Thank you so much for coming back to write this feedback. Have a lovely day. I love how recipes with minimal ingredients taste the best. Love the concentrated flavors of the tepenade and this will go with literally any dish. Looks so good! 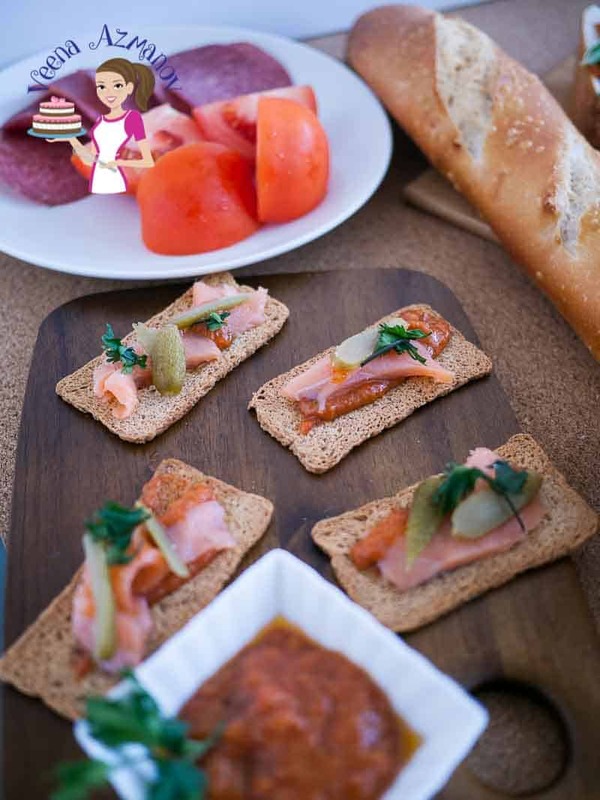 Perfect to keep on hand for unexpected company – serve with a slice of crusty bread! I know how divine that must smell!! I m a big fan of roasted peppers. It pairs so well with bread/roti/khuboos!! I love it with everything!! Mastering how to make classic sauces is a much when cooking. Sauce like this really can be used in so many ways. 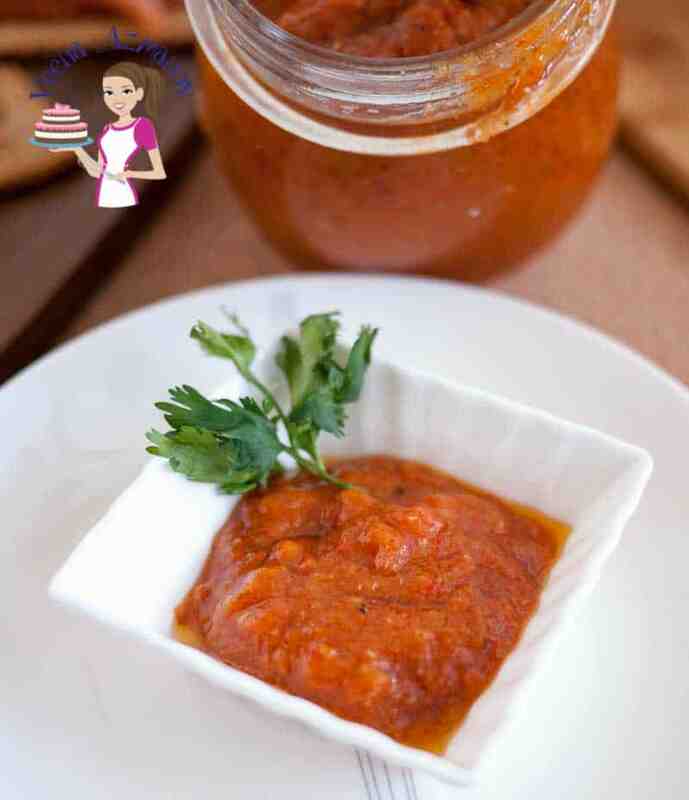 Thanks for sharing your tips ready to prepare yoru yummy homemade sauce. Sounds good Adriana. Love to know how it turned out. Yummy you had me at roasted bell peppers and then really got me at iroasted garlic! Two of my favs! Can’t wait to make this! Mine too Hanady. I love roasted garlic on it’s own as a spread. I love all of those ingredients and it looks delicious on that baguette!! Need ti try it! Super simple and that’s got to be full of flavor! Can’t wait to try it!! i’m with your kids tho on the favorite: “crusty Baguette with roasted red pepper garlic tepenade topped with goats cheese slices and some basil.” That’s got to be my favorite way to eat tepenade too. 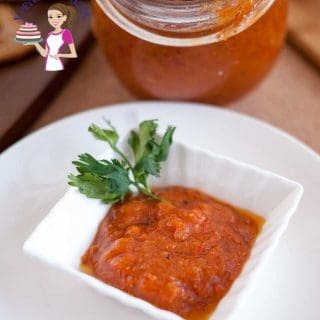 Homemade tomato sauces are soooo much better aren’t they?! This one sounds delicious- I love all the ways you can use it! Can I just say I would put this on everything! I love roasted red peppers and garlic so this sauce is screaming my name! I love to smear goat cheese on a baguette and top with roasted red peppers and roasted garlic. Next time, I’ll whip up your sauce and go for the tapenade! Sounds so yum Megan.. I love the sound of that goats cheese. My husband favorite sandwich is this tepenade with roasted Egg plant and Goats Cheese. This sounds really tasty. I like how easy it is to make and how versatile it is! Perfect to keep on hand to make some appetizers or snacks for unexpected guests.Or just to make a quick snack! So great to have on hand Pam..I like to make quick snacks with it. This tepenade looks amazing! I’ve only ever bought it from the store. Now that I have your recipe, I will be making it at home! What a wonderful sauce to have on hand. It does look good on the crostini but I can see it enhancing a meat or seafood dish. It so simple yet I imagine the flavors are fantastic. That sounds so delicious Marisa. I have tried it with meat on sandwiches…. I think I’d love it on seafood too. In our home, we love everything with roasted red peppers. I can only think of the possibilities with this dish! I can’t wait to make it. I’ve never roasted garlic before, so that will be fun too! I know what you mean Byron.. We love roasted red peppers too..! 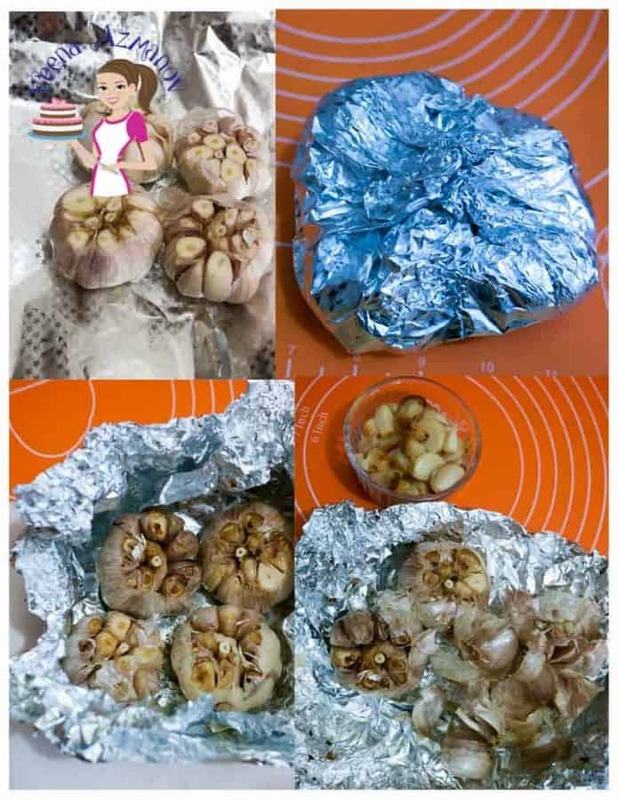 You must try roasted garlic.. you will love it. This recipe looks delicious and seems so simple to make! I think spread on a toasted sourdough with a few olives is how I’ll be trying it! That sounds yum Laura. Enjoy ! I love the concentrated flavors of a tepenade and how a little goes a long way. And I have to agree with you about using red (bell) peppers. They are superior to the green varieties. Great looking recipe. 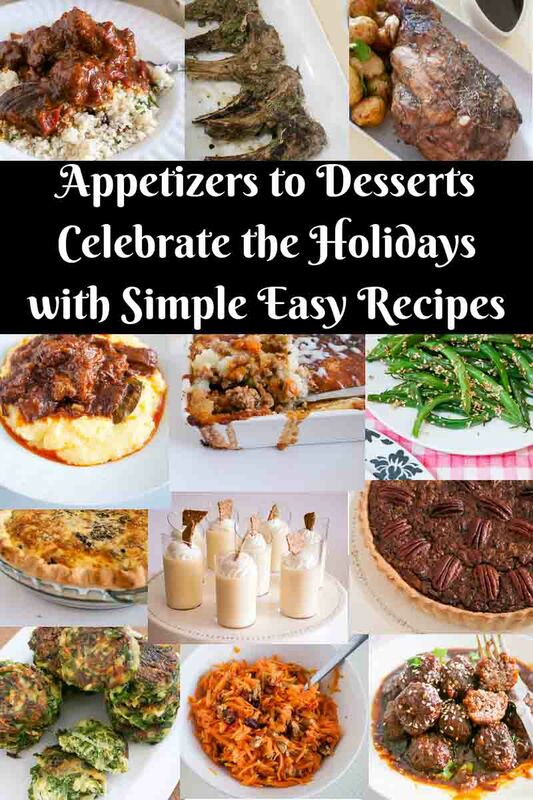 I love recipes that are simple to make! I bet my oldest would enjoy dipping tortilla chips right in this, it sounds like a flavor he’d enjoy. Oh I love the sound of dipping tortilla chips in it. This tapenade looks amazing! 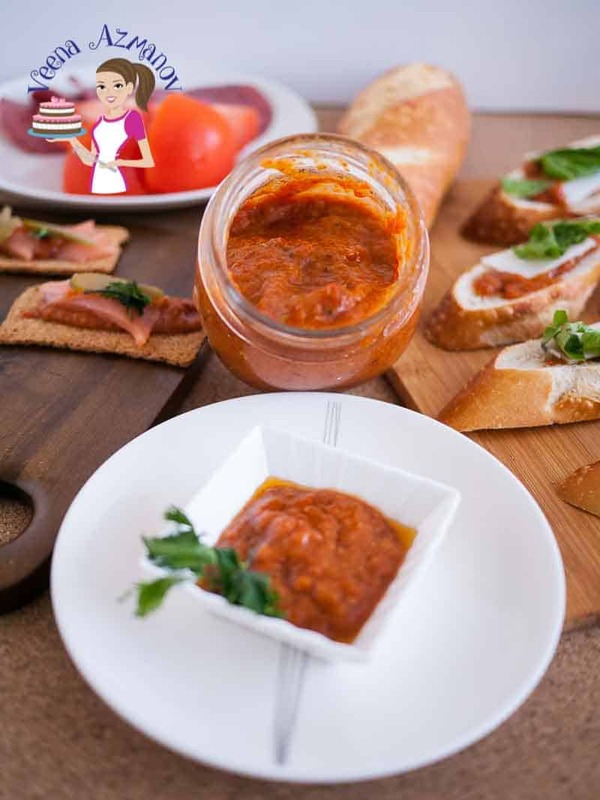 It reminds me of Serbian Ajvar, it’s also made with roasted red peppers. Thanks for the recipe! You are very welcome.. Igor..yeah I’m sure there are a couple of version of this around the world. Some with sour cream too! I love roasted garlic– this spread looks amazing. So many uses! Absolutely Michele.. You will love it. Just gorgeous! Love your idea of spreading it on pizzas and I bet it freezes well too which is perfect. Absolutely it will freeze well – ours gets over so soon we never have any too freeze! This looks like it would be great for a party! I’ll have to host one to serve this. great tapenade, and love the pointer on how to roast garlic. That’s very helpful. thanks!! Thanks Geoffrey. yeah roasting garlic is easier than most people think. This looks amazing! I’m thinking of all the fabulous things I could serve it over, and bread with cheese sounds like the perfect way to start! Yeah my kids favorite is bread with cheese and pastrami too! How pretty and tasty sounding. I buy this sort of thing at Trader Joe’s but now that I have a recipe, I’m going to make my own! This looks delicious and versatile.